There’s four Group 1 races on the program, headlined by the great mare Winx in the George Ryder, and superstar three year old the Autumn Sun in the Rosehill Guineas. We’ve got a nine-race card, with every race being at, at least listed level. We can expect anywhere from a soft 5 to a heavy 9 track rating, and the rail is out three metres for the entire circuit. Let’s get into it! We kick off the program with the group three Birthday Card Quality for the fillies and Mares over 1200 metres. Pretty open race, but I like the form out of the Wenona Girl Quality a few weeks back, and I’m siding with Sweet Scandal here. She was in good form, winning two from two this preparation, before having excuses in her last two starts. She missed the kick in the Triscay, and then was caught three wide without cover last start behind Winter Bride and Spright, and still managed to finish within two lengths of them. She will get to the front easier today, and I think the Kerrin McEvoy appointment is a sign of intent. Star Reflection is one of the big dangers. She come back to New South Wales after a hiatus in Queensland, and she ran on very well with limited room in the straight in the Wenona Girl to finish two lengths away. She loves the give in the ground, maps well from barrier six and she’ll be the one running on late. Into the Abyss is the best of the rest. She was unlucky last preparation in Victoria, travelling three wide in her last two starts, one of them is where she finished a length off Pohutukawa. She’s trialled well at Randwick leading into this, and she maps to get a perfect run from barrier five. Not out of it. Recommended bet: Win bet on #5 Sweet Scandal, with a saver on #8 Star Reflection. The Darby Munro Stakes for the three year olds is next up, over 1200 metres. Really open race here, but I’m sticking with Gem Song as my on topper. He’s obviously got a great record winning four from six and never missing a placing. He resumed after a Sydney spring Campaign in the Eskimo Prince Stakes, where he was very impressive beating Charge and Purple Sector. He’s been scratched a few times in between these two runs, but he trialled really well at Wyong in preparation for this, and he draws well to get a nice sit behind a hot tempo. He’s a good chance. Classique Legend has only been to the races twice, but he couldn’t have been more impressive. He beat a smart one in Got Your Six on debut at Kensington, and then beat the older horses by six in a Benchmark 70 last start. He doesn’t draw ideally, but if McEvoy can get him some cover on the speed, he’ll be in it for a long way. Military Zone is the best of the rest. His form last preparation is brilliant, winning the Gosford Guineas over Tell Me, who has since franked that form in Melbourne. He also maps to get a good run behind a hot speed, and he could run a bold race fresh. Recommended bet: #1 Gem Song represents good value on an each way basis. The Manion Cup arrives in the third, for the stayers over 2400 metres. Prepared to forgive Etymology for his run in the Launceston Cup, and he looks hard to beat here. He won by four and five lengths in consecutive starts at Flemington in December, before winning the Australia day Cup over Naval Warfare. He failed in the Launceston Cup, but he’s back in familiar surroundings now, and he maps to get a brilliant run from barrier five. With even luck he shapes as one of the better bets of the day. Shraaoh gets in really well at the weights, and he should be ready to peak on his preparation today. He didn’t do much in a glorified trial against Seaway resuming, but he closed off really well behind Hiyaam rising in distance. He should appreciate the step up to 2400 metres today, he’s undefeated on a heavy track, and with even luck he’ll be sprouting wings late. For the roughie punters, Big Blue isn’t without a chance. He absolutely swims this horse, proving that by beating Red Cardinal in the St Leger last preparation on a heavy track, and from barrier three he should bowl along on the speed. Not the worst. Recommended bet: Each way bet on #8 Etymology. The first Group 1 on the program comes here, in the Rosehill Guineas for the three year olds over 2000 metres. The Autumn Sun is very hard to beat here, stepping up to 2000 metres. He’s won seven from eight, and was brilliant last start coming from near last in the Randwick Guineas. I still can’t take him at the $1.60 quote, considering his racing pattern does allow a lot of room for being unlucky in the run. I don’t like the fact that he’s drawn barrier three either, but with even luck he’ll be winning. 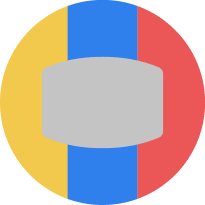 Dealmaker represents the best value in the race. He hit the line really well two starts ago in the Autumn Stakes behind Hawkshot, who wasn’t disgraced in the All Star Mile, and he chased hard in the Australian guineas to end up finishing within three lengths of the superstar in Mystic Journey. He doesn’t draw ideally, but Hughie Bowman should be able to get him across, and he’ll relish the rise to 2000 metres. Madison County is the other slight threat. He hit the line well in the Randwick Guineas, will appreciate the give in the ground, and the rise to 2000 metres. Recommended bet: Place bet on #9 Dealmaker, with something small on the win. The George Ryder Stakes is the next on the program, with the mighty mare Winx racing in her supposed penultimate race of her career. She’ll just win here like she always does. Admittedly, this is the best field she’s faced this preparation, but she’s just unbelievable. From barrier eight Bowman will sit her midfield, and she absolutely loves a wet track which she’ll get here. She won’t be losing. If there is a mammoth upset, Dreamforce looks next best. He never got a run at them resuming in the Southern Cross, and he bounced back, leading all the way in the Liverpool City cup last start. There doesn’t look to be much of a tempo on up front, so he’ll be able to dictate the race out in front, and he could prove hard to run down. Ringerdingding is next best after that. He’ll probably sit a bit closer today due to the lack of tempo, and we all have seen how quick his finishing burst is when he’s on song. McDonald will get him across from barrier nine, and he’ll be running on strongly. Recommended bet: Staying out of this one, just watch the mighty mare do what she does best. Yet another Group 1 comes here in the sixth, with the Ranvet Stakes over 2000 metres under weight for age conditions. This is probably the hardest race on the program, but I’m happy to spec Sikandarabad at the current quote of $21. His forms been pretty good this preparation, running half a length off Avilius in the Carlyon Cup, and then going back in grade to win the Mornington Cup Prelude. He got too far back In the Australian Cup, and made plenty of ground in the straight. From barrier seven he’ll sit a bit closer in the run, he doesn’t mind a wet track, and he seems overs in the market here with Mark Zahra taking the ride. There’s a case to be made for the favourite in Avilius, especially since we are getting a better price today after him failing in the Australian Cup. If he gets back to his form earlier in this preparation, he’ll win this race, but there’s a big query about whether he needs the paddock or not. We aren’t getting a great price to find out either at $3.50. Unforgotten has been found in the market bar the favourite, but she should be ready to peak here. She done her best work late in the Apollo Stakes, and then chased well to finish within four lengths of Happy Clapper over the mile in the Chipping Norton. She’ll appreciate the rise to 2000 metres, and she should be peaking today third up. Recommended bet: Each way bet on #8 Sikandarabad. 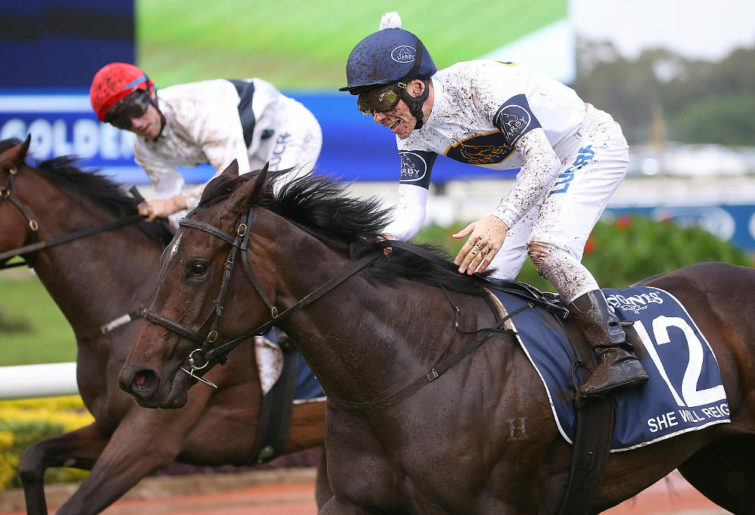 The feature comes here in the seventh, in the form of the 2019 Golden Slipper, worth 3.5 Million dollars. As is the case with most Golden Slippers, it’s a very open field, but I’m prepared to stick with Tenley. She’s a star this filly, and has proven that going undefeated in her three career starts. The way she won in the Reisling was breathtaking, and she draws perfectly from barrier six to get a lovely run in the race. James McDonald stays on board, and she only has to handle the heavy ground to be right in this. Time to Reign had excuses in the Lonrho Plate three starts back, and still only finished two lengths off Cosmic Force and Bivouac. He then went to the Silver Slipper on a soft track and won very well, before failing last start in the Todman. He’ll get across from barrier nine and race on the speed, and the wet track does him wonders. Microphone looks the next best. He won with ease down the Flemington straight in front of a smart one in Talented, and then won with ease again in the Skyline to beat Cosmic Force, who franked that form last week. He draws well from barrier one to sit on the speed, and he seems overs considering Cosmic Force has opened up as favourite. If he handles a wet track, he’ll be hard to beat. Recommended bet: Each way bets on both #9 Tenley and #3 Time to Reign. Playing exotics around #3, #9, #2, #4 and #10. The last Group 1 on the program comes here in the eighth race, with it being the Galaxy over 1100 metres. 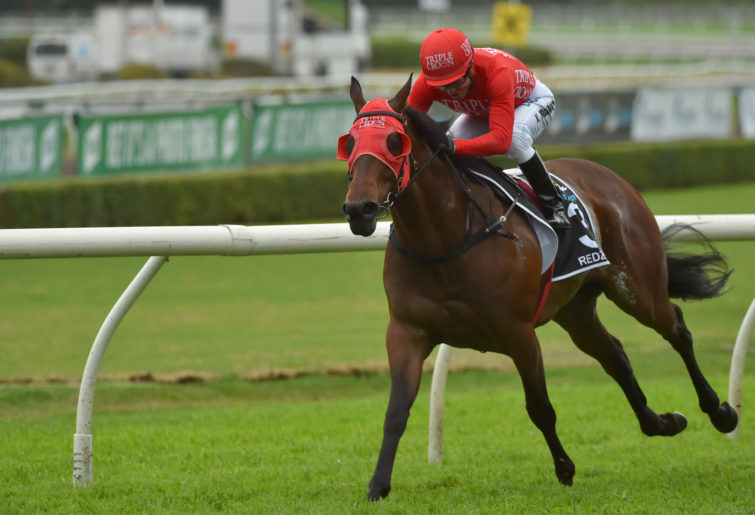 It was Christmas come early when I saw the $4 on offer for champion sprinter Redzel, and he’ll be hard to beat here. The two time Everest winner resumed in the Challenge Stakes and narrowly went down to Ball of Muscle when diving at him on the line. He generally goes well second up, and he absolutely relishes a wet track, which is what will face him here. He draws well from barrier six to get a perfect sit on the tear away leaders, and he looks like one of the better bets on the program. Baller draws wide, but I think he is way overs at the $51 quote. He ran a very quick time two starts back on a soft track to beat Spiritual Pursuit, before never getting a run in the Fireball Stakes last start. He gets in well at the weights as a three year old, he’ll sit on the speed, and he shapes as the best roughie on the card. Virdine is next best. He ran really well resuming against Ball of Muscle and Redzel, and he draws perfectly from barrier four to get a nice run behind the speed. He’s won two from three second up, and he’ll be running on strongly again. Recommended bet: Sizeable win bet on #1 Redzel, with a saver on #13 Baller. The last on the program is the group three Epona Stakes over 1900 metres for the fillies and mares. I’m pretty keen on the Victorian raider in Jungle Fish here. The penny has dropped this preparation. She broke her maiden at Pakenham, winning by four lengths, and then sat three wide in consecutive starts at Sandown and Pakenham, and still got over the line against talented horses like Savvy Oak. She draws wide here, but she has good tactical speed, so Dunn should be able to slot her in wherever he sees fit, and she’s rock hard fit in her fourth run this preparation. Hard to beat. All too Soon is next best. She resumed well on a soft track behind Seaway, before doing her best work late in the Aspiration Quality last start. She draws well from barrier two, and the wet track will suit. The top weight in I’m A Princess is the best of the rest. 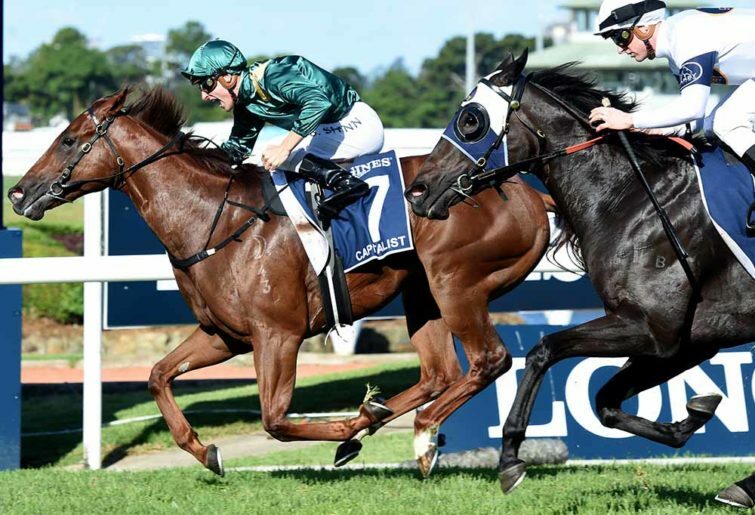 She’s been doing her best work late in group three races this preparation, and she finally gets to 1900 metres, which she has been craving for. She should get a nice spot behind the leaders, and be running on strongly. Recommended bet: Sizeable each way bet on #12 Jungle Fish. BEST BET: Race 8 #1 Redzel. SECOND BEST BET: Race 9 #12 Jungle Fish. BEST VALUE: Race 7 #8 Sikandarabad.